@nhlanhla_nciza @iamseantizzle @theomafikizolo and myself rocking the #Tchelete video release party/ MTN ambassadors unveil rave powered by @channeloafrica and supported by @MtnNGwhich went down at DollHouse cabaret club in V/I. Jeez, I wasn't prepared that day....Moment I got the last minute call from my line producers, I rushed outta my friend's crib without even taking a shower, had to wear the same outfit from the day before, my hair was a tangled mess....but #ProductionHathNoExcuses and #TheShowMustGoOn so let's just say, all the body sprays plus perfumes in my knapsack and car, kickass spontaneity and over plastering of face powder did the magic!! 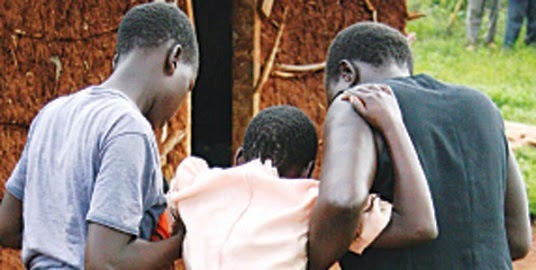 A mother of a 13yr old girl caught her daughter spending cool and extended time with a guy, and she decided to flog the daughter after which the daughter went ahead to attempt suicide by drinking a poisonous substance. She was caught drinking it after the incident and has been rushed to hospital for treatment, and she is still currently lying in the hospital till this very moment.